The mailman pulled up outside the studio door—always a good sign that he comes bearing something he can’t squeeze into the mailbox. Today’s package came all the way from Belarus. 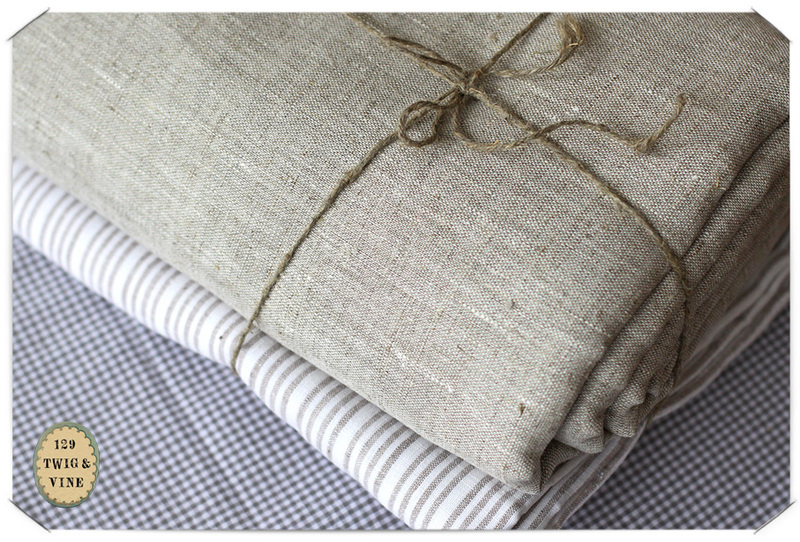 Yards and yards of unbleached natural linen, and several yards of an irresistible micro stripe. Ever since I purchased my linen apron in November I’ve been intrigued by the linen of Russia and eastern Europe. And now I have my hands on some. This linen smells like a field of flax. I sniffed it and felt waist deep in grasses and flowers. Denise sourced it for ilo collective and ordered a sample yard or two. We got together and made an initial group of household items from that first batch. The pillow has an outer case of linen and inner case of ticking. Wandering hand-stitches complement the raw edge. A version with a magenta linen insert is also on the shop. Then Denise made a gorgeous apron, and several zippered bags with color accents. All on the shop too. Who knows where else this linen will lead us. Off wandering in the field of flax, am I. Love the pillow cases. I also love the apron, I often use one for work. I need to tag plants and an apron with many pockets is my best tool. Thanks for the share. Who do you order from to get European fabrics? Thank you! Thanks. 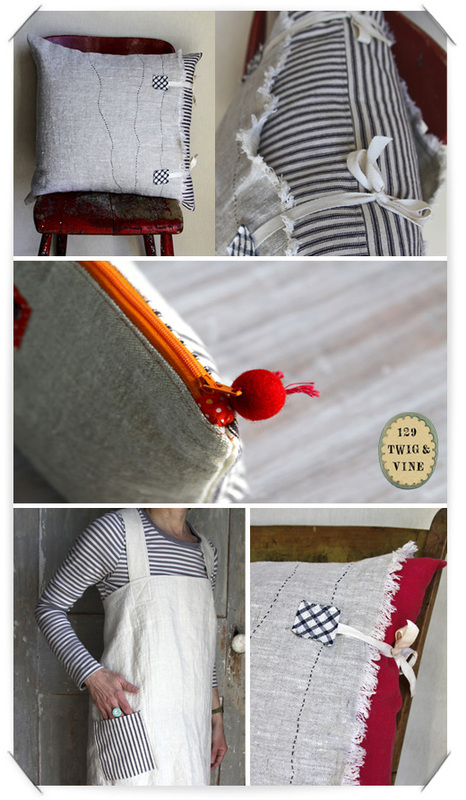 Linen is just so fun to design with!